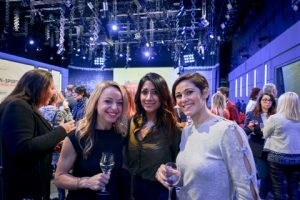 Women from across the sports media broadcast industry flocked to the latest SVG Europe Women event at BT Sport’s studios on Thursday night. With around 200 people in attendance, the evening included networking and discussion about the hottest trends and toughest challenges facing women both in front of and behind the camera today. 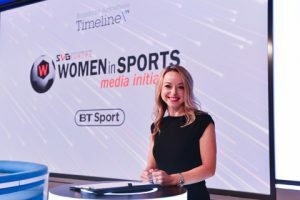 Sponsored by BT Sport and Timeline TV, the evening began with BT Sport presenter, Abi Stephens, kicking off the panels as the MC for the evening. 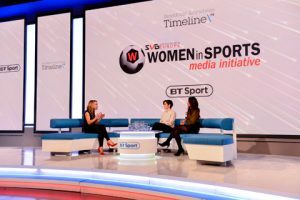 The first session titled, Take 1: Interview with BT Sport’s Reshmin Chowdhury and Eilidh Barbour, saw the BT Sport pundits speaking with Stephens about the evolution of their careers, challenges they faced in getting to where they are today, and how they see women in sports broadcast now and going forward. Meanwhile, the second session, called Inside the Toolbox: Looking at women in technical roles in sports broadcast, included Timeline TV’s Roisin McKeniry, media systems manager and Nikki Lushington, lead MCR engineer, BT Sport’s Gemma Knight, director for BT Sport football, and Kylie Jenner, director, BT Sport Score, and Sunset+Vine’s Adeline Lee, head of broadcast services, who spoke with SVG Europe’s McLean about why there are fewer women in technical roles within sports broadcast, and what can be done about it. 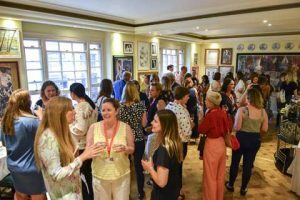 Next year SVG Europe W will host four main events, starting with one at SVG Europe’s SportTech event at Lords in May, followed by a summer networking event, then one at IBC in September, and finally another winter networking event. 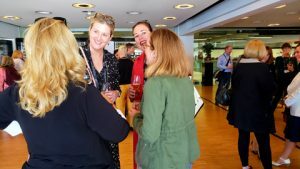 In the centre of the Rai in Amsterdam, SVG Europe’s Women in Sports Media Initiative IBC networking event, held on 15 September, was packed within moments of the doors being opened. 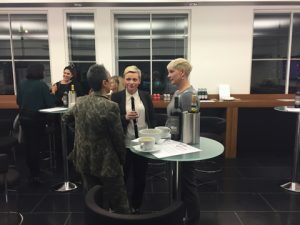 Altogether over 80 people from within the industry attended the evening, coming from as far afield as the UK, France, Switzerland, Spain, Italy, Luxembourg, Poland, Norway, Australia, Canada and the US. Being held at the most prestigious broadcast event in Europe meant that a plethora of attendees, both female and male, were able to attend and start off their Saturday night exchanging business cards and discussing the issues of the day with the best of the best in sports broadcast. With attendees from HBS, Sky, BT Sport and Olympic Broadcasting Services, ITN Productions, Telstra, Premier League and UEFA, SVG Europe contributing editor, Heather McLean, worked to introduce freelance producers, directors and more to people holding the top positions at leading companies and organisations.McLean commented: “Bringing women in sports broadcast together is incredibly important to help people develop networks and create an equal playing field for women in this industry, and SVG Europe is proud to provide a platform for that to happen. We also open our doors to the men in this industry who are championing women in the workplace, and who are actively looking to increase diversity; you can’t change the status quo without all voices being heard, and all working together to create that change. We need unity and understanding to make sports broadcast truly inclusive and to provide the opportunities for women that are currently lacking in many places.”Lise Cosimi, chief of external relations at HBS, said a few words of welcome to the crowd, and stated that she hoped the next generation of women working in sports broadcast, many of whom are flocking to the young and fresh streaming world, will join with the SVG Europe Women in Sports Media Initiative going forward.The event segued into SVG Europe’s Sports Production Awards Networking Event which went on until 8pm. 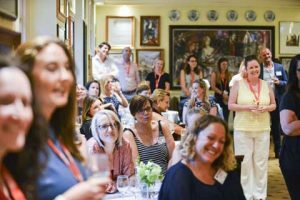 The SVG Europe Women in Sports Media Initiative summer networking event on 3 July saw women from all walks of production come together at Langan’s Brasserie to discuss careers, challenges and balancing work and family life. 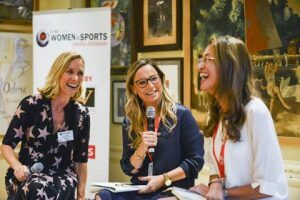 Despite World Cup fever, the room was packed with women and men from across the sports broadcast industry intent on networking and championing further diversity in the workplace. The event was sponsored by CTV Outside Broadcasts and supported by Sky UK. 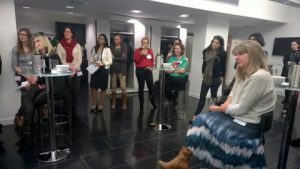 With England versus Columbia playing quietly in the background, speaker Trudie Adcock, Head of Leadership and Talent at Santander, discussed Learning from Experience in Male-Dominated Industries. 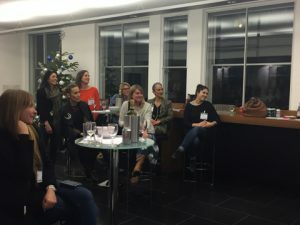 She shared how her career, which has spanned construction, engineering and now financial services, has taught her along the way how to seize opportunities, manage working in male-heavy environments, and make the right career decisions. An extensive Q&A followed where attendees asked Adcock questions from how to deal with high flying careers and family, managing hefty workloads, and branching out from niche careers, to how to learn from both positive and negative experiences. Next up was a panel from Sky UK made up of Sky Sports Production Executives, Bridget Bremner and Jennie Blackmore, in conversation with Inga Ruehl, Head of Studios for Sky Production Services at Sky UK. 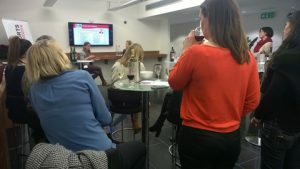 The trio discussed Bremner and Blackmore’s career journeys, how they got to their current roles within Sky, and how the new roles of Production Executive disrupted as well as helped streamline the structure at Sky Sports. In a Q&A they also talked about the issues involved in managing more experienced colleagues and challenging stereotypes of women in the workplace. 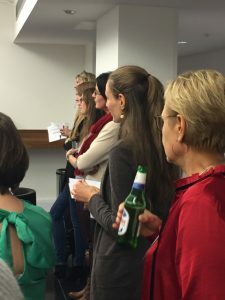 Following the talks, everyone in the room turned their attention to the bar and the penalty shoot-out happening on-screen, then the jubilant crowd continued networking. 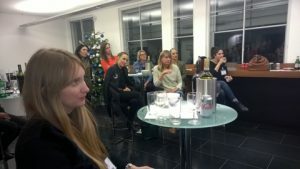 SVG Europe received a plethora of positive feedback and suggestions for future events during the evening, and we are now planning the next Women in Sports Media Initiative event. 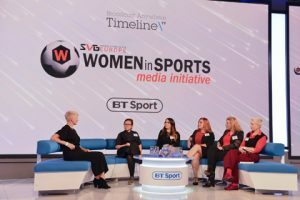 More details will follow soon – please sign up to both the SVG Europe newsletter and the Women in Sports Media Initiative list to stay in the loop. 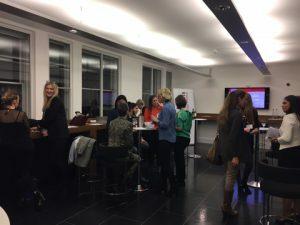 Women from across the media broadcast industry turned up last night at the DTG in London to listen to inspiring women and discuss the issues they face in the marketplace today. 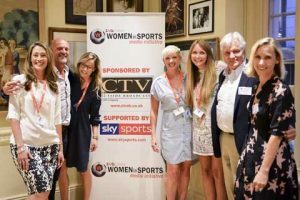 With a great turnout, attendees from a wide range of businesses, from IMG Premier League Productions to Sky and Dolby were in attendance, and some had flown in for the event from as far afield as Paris. 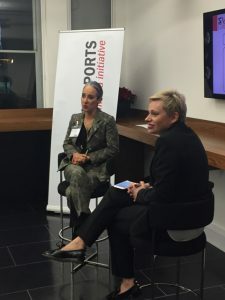 The evening began with an introduction to SVG Europe and the Women in Sports Media Initiative from Heather McLean, SVG Europe contributing editor and internal lead on the initiative. 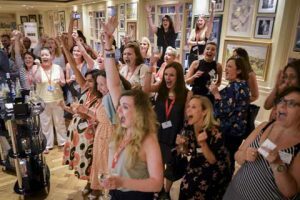 Lise Cosimi, chief of external relations at HBS, spoke at length about the initiative and when she feels this industry needs to help the women within it today, and the young women coming down the line. Next up, Cosimi had an insightful discussion with UNESCO director of media, Mirta Lourenco, about how her career took her from Argentina to the UN. 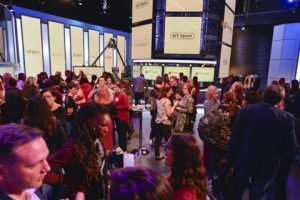 The conversation then opened up into a forum with attendees speaking about how they see the state of women in broadcast today, the existence (or not) of a glass ceiling for women, and the need for networking and support from women, to other women. 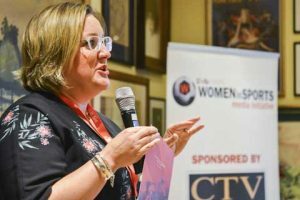 Jennifer Angell, director of international project services for broadcast at VER, then interviewed Eva Spit, a successful OB engineer at CTV Outside Broadcast, on how she got into engineering and how she is moving ahead with her career. Finally, the DTG’s Ranjeet Kaur, who comes from an engineering background and is now head of product testing at the DTG, spoke about the trajectory of her career progression and experience in a senior position amongst a male-dominated industry. Tim Frost, SVG Europe’s audience and digital development manager, who passed away the previous weekend, was remembered for his help in bringing this event together. 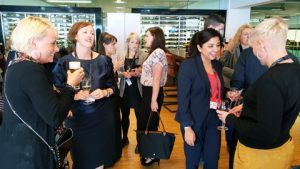 The intimate event continued with networking and wine, and discussions on how to take the initiative forward. Feedback from the event was overwhelmingly positive, with all stating they were looking forward to the next one. 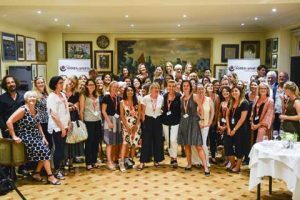 Sign up to the SVG Europe Women in Sports Media Initiative here to stay in touch and find out the latest news and event information.